Myrna Melgar is the Executive Director of the Jamestown Community Center. Prior to her work at Jamestown, Myrna was the Deputy Director of the Mission Economic Development Agency, another Mission District nonprofit providing asset building and financial services to low income Latino families. She was the Director of Homeownership Programs at the San Francisco Mayor’s Office of Housing during the Newsom administration. Myrna also served three terms in the City's Building Inspection Commission, and also as President of the commission's Board of Appeals. She is a current member of the Assembly of the Jewish Community Relations Council, and the Executive Board of the Latino Democratic Club. Myrna is currently the Vice President of the San Francisco City Planning Commission, appointed by President of the Board of Supervisors London Breed. Myrna immigrated to the Mission District as a teenager with her family during the 1980's from El Salvador, during that country's civil war. She attended San Francisco State University, and then obtained a Master's Degree in Urban Planning with a concentration in housing development from Columbia University in the City of New York. She lives in San Francisco with her husband and three daughters. In June 2015, Nelly Sapinski joined Jamestown as Deputy Director of Program Evaluation and Design. She guides program development, evaluation, and supports strategic initiatives. She is thrilled to work at Jamestown supporting families and youth in the community. Nelly holds a Master's from Harvard and began her career as a classroom teacher. Annie was born and raised in San Francisco’s Mission District and has worked with the youth and families of the Bay Area for over 20 years in both schools and community arts organizations. Annie's experience with Loco Bloco began as a Carnaval participant while she was in High School. She stayed committed to the organization rising up as a performer, instructor, Board Member, Development Director and eventually becoming LB's Executive Director. She holds a BA in Liberal Studies with a concentration in Spanish as well as a Multiple Subject Teaching Credential from San Francisco State University. Annie has worked as both an Elementary and High School teacher in the SFUSD and as a community outreach coordinator for ODC/Dance. Additionally, Annie has taught dance for kids ages preschool through high school at many Bay Area organizations including Aim High, BAYCAT and within Loco Bloco’s own Youth Program. She is proudly raising her three daughters in her native Mission District of San Francisco. Ariel Esqueda is a San Francisco native and has been with Jamestown for over 10 years. Having participated in sports most of her life, being part of Jamestown as the Sports Director has allowed her to blend two of her favorite things: the love for sports, and giving back to the community. She values the support and opportunities Jamestown provides youth and families and appreciates being a part of an organization that invests in staff and their professional development. She graduated from Dominican University with a B.A in Psychology. Santiago López was born and raised in San Francisco's Mission District. He graduated from San Francisco State University with a B.S. in Business Administration with a concentration in Accounting. He has been a part of Jamestown for 8 years. His first position with the agency was as an elementary school tutor in the after-school program, then he held the position of administrative assistant before becoming the HR & Operations Manager. He enjoys being part of the Jamestown team because it attracts passionate and driven people who love and serve the community he grew up in. Jessica Linares is a San Francisco native from the Mission District. She attended public school from K-12th and continued on to SFSU where she majored in Civil Engineering. However her focus for the last 15 years has been intentionally infusing Youth Development into Extended Day Programming. Having experience first hand the benefits of Jamestown programming as a middle schooler, Jessica is passionate about providing similar supports and opportunities to Mission District youth through strong partnerships between schools and the community. She continues to work towards this goal as The Director of Community Schools for Jamestown. With a background in nonprofit entrepreneurship and leadership, Rosi Bustamante specializes in fundraising, startups and organizational development for small organizations and Latino groups. She loves nature, healing herbs, and lives and plays in the Mission District with her husband and two high school sons. Evelyn loves working at Jamestown because it allows her to help make a difference in a child's life. In her role, she helps to sustain a vital organization where children thrive, develop their sense of self, and confidence. She has been working with Jamestown and Loco Bloco for 5 years. Pedro Gomez has been studying Latin percussion and performing for over 20 years. He is the Co-Founder of Bayonics a Latin fusion band and a Teaching Artist in the World Music Department at Ruth Asawa School of the Arts. Having grown up in San Francisco’s Mission District, he believes Latin percussion becomes part of your DNA. Pedro was introduced to the drum at the age of 13 in a rumba circle. He has had opportunities to study and perform in Cuba, Brazil, Puerto Rico and Central America; taking with him cultural perspective and influence from his studies with master musicians. Pedro’s passion for performing and teaching stems from the belief that musical expression is a form of healing and power. He is committed to passing on traditions that uplift young people and their communities. Brenda was born and raised in Puerto Rico where her parents instilled in her a passion and commitment for community wellness and involvement, and the importance of strong family bonds. She has worked in government and nonprofit agencies in the Bay Area for over 12 years. Brenda holds a bachelors degree in Behavioral Science and Psychology, and a Masters Degree in Public Administration with an emphasis in Public Policy from Cal State East Bay. Katie is a San Francisco native who was raised in the Mission District. She began her journey with Jamestown when she was in 6th grade and currently working as the Office Manager at the Jamestown office. She earned her Masters Degree in Organization and Leadership at the University of San Francisco. She enjoys working for Jamestown and supporting the youth and families in the community. Jamestown has always been a special place in Gerardo’s life. While he did not grow up being a part of the Jamestown family - like so many of his colleagues - his adult life has been all Jamestown. In 2007, at 18, he began working as a tutor while in college. Then he taught with our great Summer Voyage program. Today, he is part of the Sports Department, helping to create a massive spike in the number of participants over the past 2 years. He says serving so many families who, without Jamestown, could never play is one of the best feelings in the world. He earned his B.A. in Psychology with a minor in Child and Youth Studies from USF. Nancy Hernandez has been working with Jamestown for over a decade, starting as a tutor and working her way up to her current leadership position. She enjoys working with youth and families in the community she grew up in, and appreciates Jamestown and Loco Bloco for giving youth the skills to develop and become leaders and in their communities. Melissa has been working in youth development in the Mission for six years, most recently as a site manager at Buena Vista Horace Mann K-8. A San Francisco native, she earned her B.A. in Women's Studies from UCLA and has completed educator training programs with Mindful Schools and Breathe For Change. Gabriela has been with Jamestown for three years initially starting with volunteer work, while studying for her BA. She has loved every minute, being able to work and engage with young people and support them. Her passion for youth work fuels from previous experiences with faith based youth organizations. Working with youth and community values and principles have always been at the core of her work with young people, and she believes Jamestown has always encouraged and supported her in the work that she does. 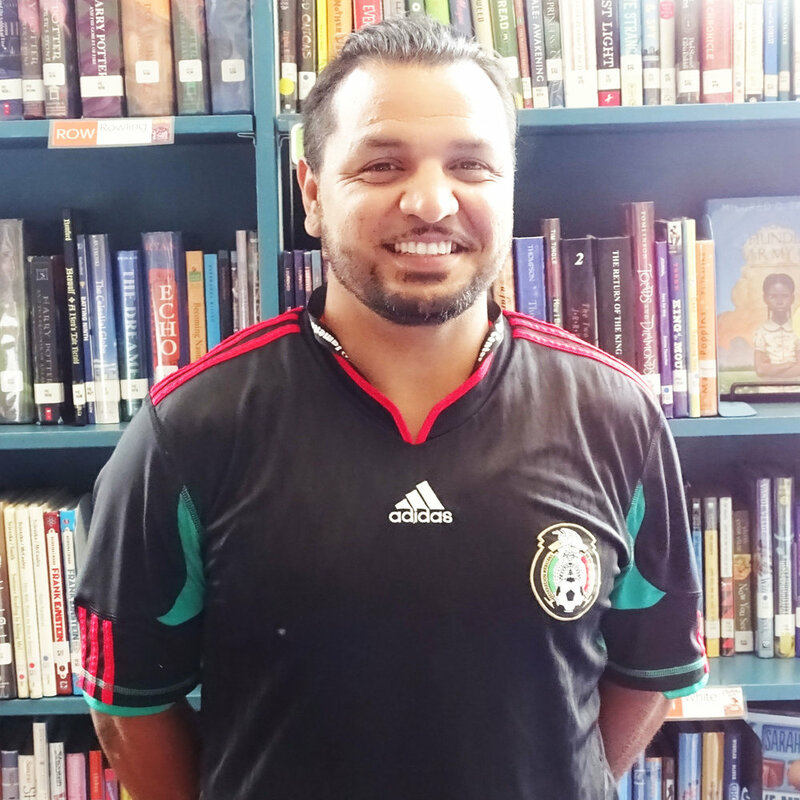 Alberto has been part of Jamestown since 2014, starting at James Lick Middle School as the After School Program Assistant. 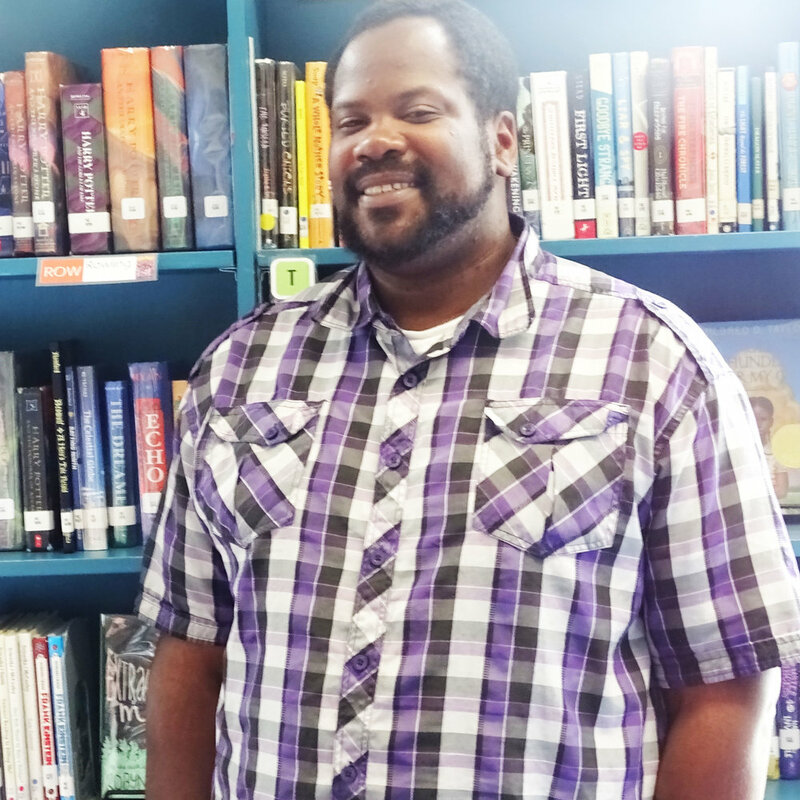 Since then, he has helped implement new programming at other sites across the Jamestown network, continuing to build connections and opportunities for youth in the community. He is excited to take the next step in his career as the Buena Vista Horace Mann Beacon Director because it will give him a great opportunity to not only help the youth, but also provide developmental tools for parents, to help support their children in their educational and emotional development. Anttwan Stanberry was born and raised in the San Francisco Mission District and has been working with youth for 13 years. Growing up, Anttwan developed a passion for drumming and dancing through his time with Loco Bloco. Anttwan has worked as the Middle School and High School Director for Boys & Girls Clubs of San Francisco and has held leadership positions for other youth organizations across the city. 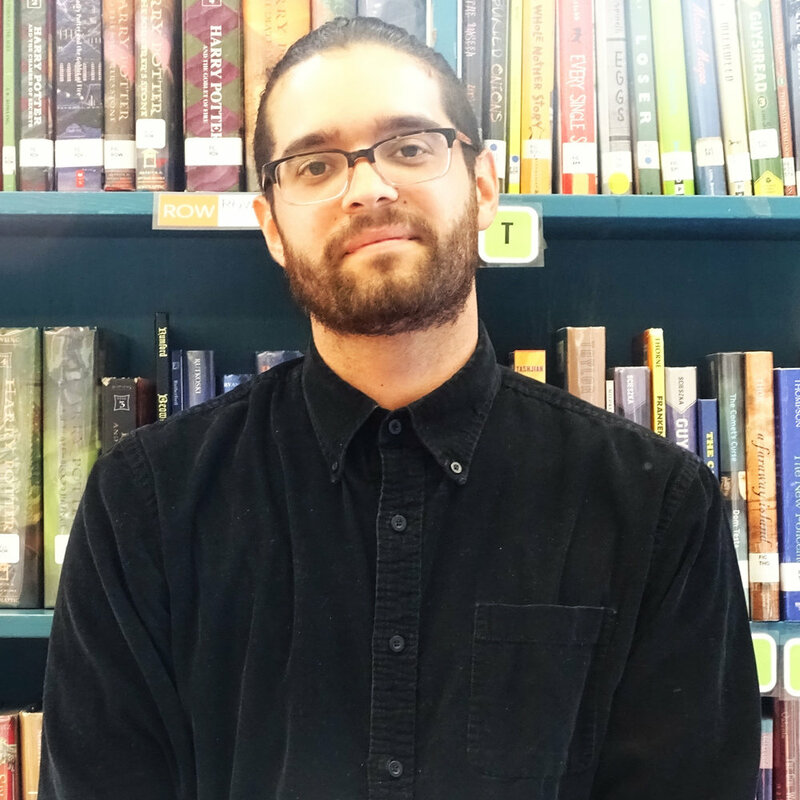 As the new Beacon Director, Anttwan is looking forward to bringing new programs and ideas that will help increase the involvement between James Lick Middle School students, parents and teachers, the Jamestown Community Center, and the San Francisco Beacon Initiative. Christian Medina Beltz is a storyteller of many mediums, with experience in the education, journalism and arts spaces. After graduating from the University of Wisconsin - Madison, he moved to Miami and worked as an instructor and site supervisor with local youth advocacy organizations. He went on to receive his Master’s degree from the Goldring Arts Journalism Program at Syracuse University. He is excited to bring his unique skill set to the Jamestown family and help support the youth and families of the Mission community. Audrey has worn many hats at Loco Bloco as performance stilt instructor, program assistant and carnaval costume facilitator. Her passion for the work comes from being a San Francisco native who grew up watching Loco Bloco impact the lives of youth and positively contribute to the communities it served. In 2013 she finally joined Loco Bloco as a student of stilts along with her daughter and from there graduated to stilt assistant, then to stilt instructor and kept upping her involvement from there. Her mentor told her when she was younger that if your work is not serving the youth, the next generation, then you’re not doing the right work. This advice has stuck with her and has motivated her to continue learning and growing on this path of youth development and community engagement. Kevin Ortiz is an SF Native who was displaced at 10 years old during the first dot.com boom. He moved back when he was 18 years old, only to move back into the 2nd wave of gentrification the Mission is currently experiencing. These first hand lived experiences invigorated Kevin to get active in anti-gentrification efforts, working on the Mission Moratorium and then getting involved in housing justice, organizing and negotiating with developers for the highest amount of community benefits. He currently sits on the executive board of the San Francisco Latino Democratic Club as the Political Action Chair (PAC), fighting for Latino equity and representation in government. He also serves on the Eastern Neighborhoods Community Advisory Committee. Kevin has a big heart, loves to read, travel, and most importantly, has a heart for the community. Empowering youth to be the change in their communities is his ultimate goal. Interested in joining our team? Click here to see current job openings. To see a complete Jamestown's 2018-19 Staff List, please click on our Programs page and select the Site or Program to see our current staff listing.